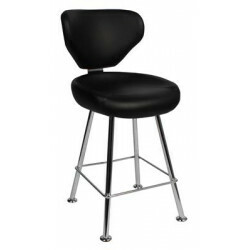 Gaming stools require more durability to serve in such busy and high traffic commercial establishments. Provide luxury to your business with these highly comfortable seats padded and made delicately from quality materials that can withstand daily use. Not only does it provide excellent back support, but also exude elegance and style. Aesthetically pleasing, these gaming stools are quality built products suitable for pubs, clubs, and any business that would need its purpose. We have a vast range of styles and colours for you to choose from to ensure that you get that finishing touch of furniture for your commercial space. Gaming Stools There are 13 products.